Halcyon Style: A Bachelor's Pad? 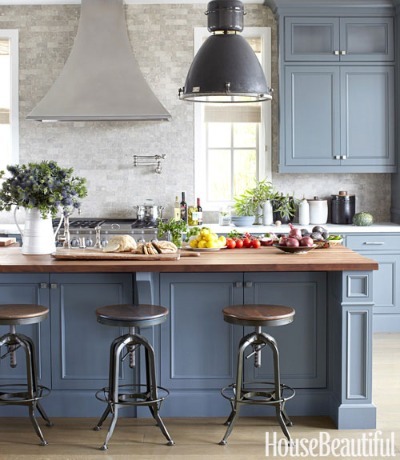 Billed as a bachelor pad, this california home design by Parrish Chilcoat and Joe Lucas could easily transition into a comfortable family home. The article claims that "everything says 'dude'" but I'm not so convinced. Nothing screams MALE save for perhaps the large antlers in the hallway and the TV found in the outdoor lounge area. 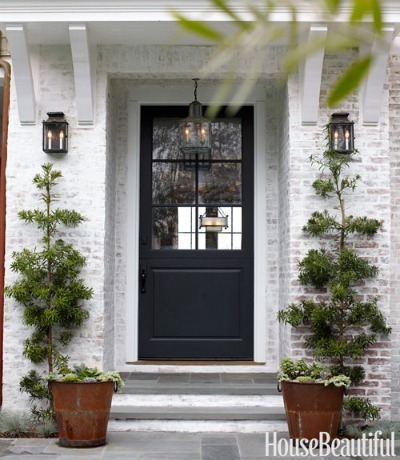 Love the whitewashed bricks paired with that gorgeous bluish-black front door. The only thing I would change, as a female, would be some colorful drapes. Perfection. 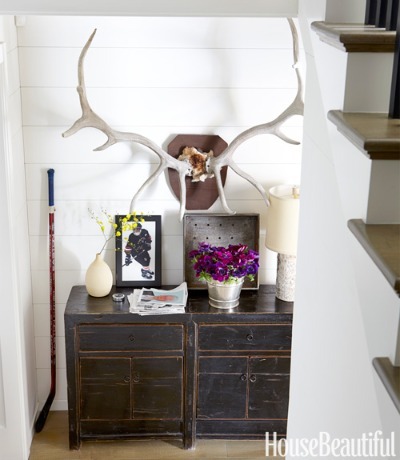 Behold the majesty of antlers and hockey gear; it's almost like a NFL star lives here, oh wait, one does. I love the antlers but sports gear belongs in the garage. The "man cave" otherwise known as the media room. This bathtub may be larger than my entire bathroom...le sigh. It's probably one of those tubs that keeps the water warm too. 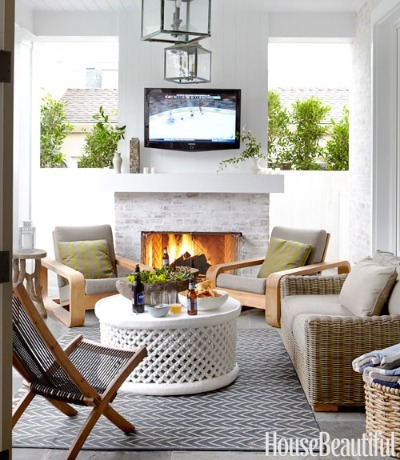 Seriously, why do you need a TV in the outdoor living space. So many other uses when there's already a huge media space; why not read, have a cocktail party, play jenga, etc.